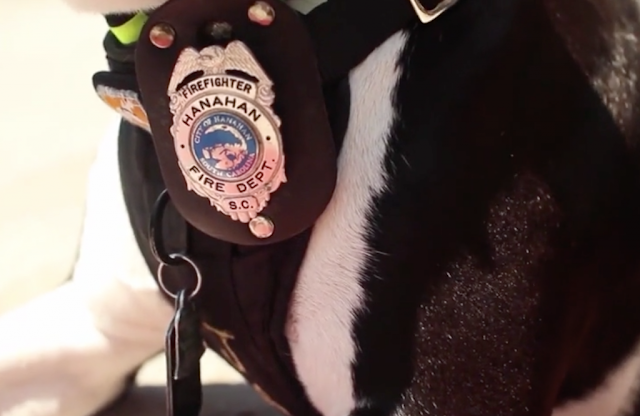 This is the truth for a dog-turned-firefighter in Hanahan, South Carolina. Jake was only a 3 week-old puppy when he was rescued from a burning shed by Bill Lindler, a firefighter from the local fire department. With 50 to 75 percent of his body covered in burns, Jake had a rough beginning and an unpredictable future. But, Bill decided to adopt Jake because he found so much value in everything Jake been through. 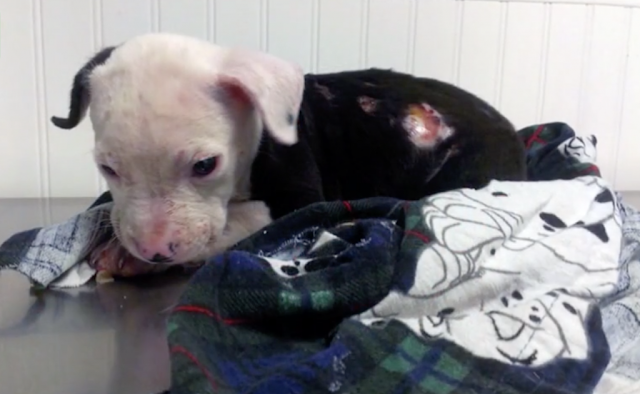 “I knew this little guy was gonna need a good little lovin’ home,” Bill shares. From this, Jake and Bill developed an inseparable bond. “You’re not going to get ‘em apart for too long before he starts barking,” a firefighter comments. A friendship takes effort to make, but a best friendship takes intentional time and dedication to grow. 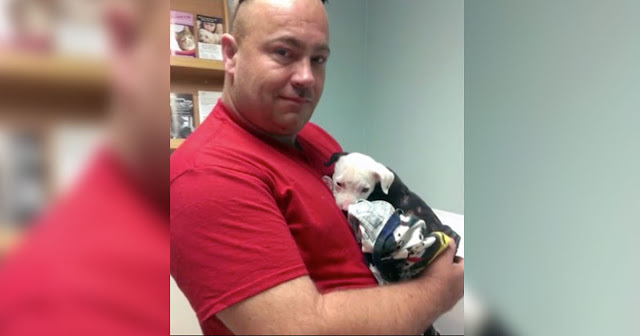 Soon after Jake’s treatments were completed, Bill brought the young Pitbull to the fire department. Jake not only became a friend to the firefighters at the house, but also a model to those around him. “Even with all the burns, he was just so happy and so friendly, and it was just nice to have him around… He’s just real good for morale” says James Durham. As a result, the Fire Chief, Mayor, and Town Administrator have titled Jake as an honorary firefighter, and the official mascot of the Fire Department. Jake’s circumstances never stopped him from becoming the loving and friendly dog he is today, and he has been a continuous encouragement to Bill and his friends at the firehouse. “No matter what happens, he’s always there,” a firefighter mentions. Jake has warmed the hearts of many, and to everyone he meets, he treats them like a friend. “I couldn’t imagine life right now without him because He has become such a huge part of my life.” Bill says.